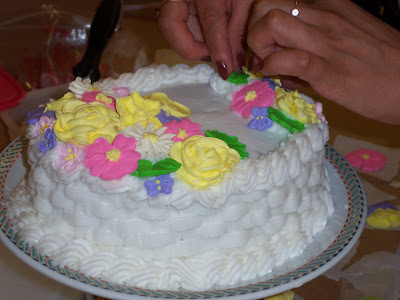 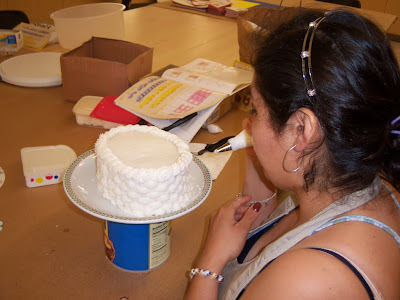 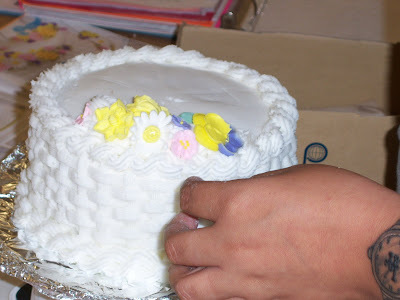 The ladies completed their Course 2 "Finale" cakes last week - and the results were beautiful! 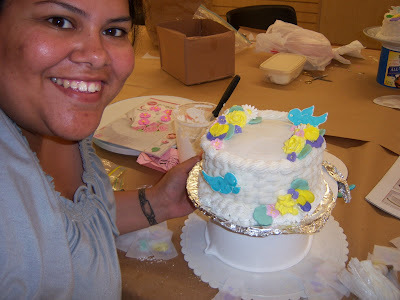 Unlike Course 1 where the students complete 3 cakes over four weeks, in Course 2 students make lots of different flowers that are used to complete one, grand, beautiful cake on the last night of class. 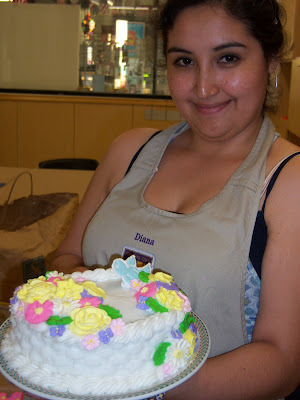 Justifiability proud - the cakes are beautiful! 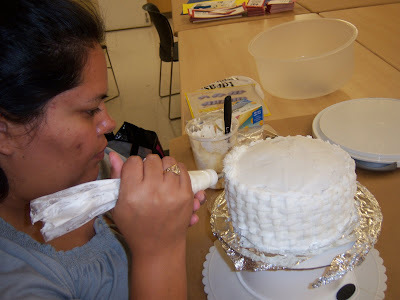 Susana made my heart sing when she said, "When class started and I looked at the cake we were supposed to make I said, 'Yeah, right' but look at this!"